Nintendo announced its slate of releases for 2010, with none of its heavy hitting franchises on the list. It might be upsetting for Nintendo fans when the most touted release the company has slated for the next year are two new colored controllers. 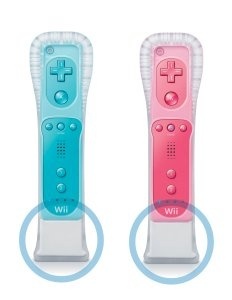 Nintendo announced that a pink and blue Wii remote will be available on Feb. 14, finally giving you the ability to buy a gender appropriate controller for your significant other on Valentine's Day. The new remotes have the Wii Motion Plus accessory bundled with them, so at least they got that going for them. It must be stated that New Super Mario Bros. and The Legend of Zelda: Spirit Tracks was just released for the Wii and DS platforms, so the lack of any title from those franchises in early 2010 is understandable. However, there is next to nothing on the list of upcoming games that isn't yawn-inducing. Nintendo announced the release of another installment in the ravenously popular ocean simulator genre on February 22, Endless Ocean: Blue World, in which you wander around an endless, um, ocean. Fun! There is also Tatsunoko VS. Capcom: Ultimate All-Stars due out in January. The list of upcoming DS games is more extensive. In March, there will be updated versions of Pokemon Gold and Pokemon Silver called PokÃ©mon HeartGold Version and PokÃ©mon SoulSilver Version, respectively. Nintendo said, "The games have been fully enhanced with rich graphics, updated sound, new touch-screen controls and much more." Also in March, WarioWare D.I.Y. will allow users to make their own mini-games and share them over the interweb, if you are so connected. The best news is the release of Glory of Heracles on January 18 for the DS, giving Western gamers a taste of the Japanese franchise which began in 1987. Written by Kazushige Nojima, who was also a writer on Final Fantasy VII and VIII, the game is set in Greece and based on Greek mythology. With the lack of any blockbuster titles for the Wii in 2010, it appears that Nintendo is ok with pushing its advantage in the handheld market. The company may be holding back for a console upgrade or is truly unable to woo third party publishers to develop for the Wii. Still, several questions come to mind. Where is the Metroid game that was touted at E3 last year? Where is Mario Galaxy 2? And when is that dang Zelda coming out?